You are here: Home / News / Latest News / Do you need winter tyres in Wakefield? Do I need winter tyres in Wakefield? Well, this is a question we hear a lot, especially on bitter winter days. However, recent winters, on the whole, have been milder which has led us all to question the real need for them. Are they just a waste of money or do they benefit you? As your local car experts in Wakefield, let us run you through what winter tyres are and how they can help. Then, should you choose to get your tyres ready for winter, you can pop down and see us for your free tyre check at Cross Lane Garage in Wakefield. What exactly is a winter tyre? Firstly, let us explain to you what a winter tyre is. To do this, you need to know that there are three main types of tyre that we use here in the UK. The one we all know is the Summer Tyre. It is what you might think of as a “normal” tyre. They soften in milder temperatures to provide lots of grip, as long as the temperature is above 7oC. However, when the temperature drops below that, they’re too hard and can skid or slide. The next is the All-Season Tyre. This tyre offers the best of both worlds. It can be used in both cold and mild temperatures and is useful down to minus -5oC. 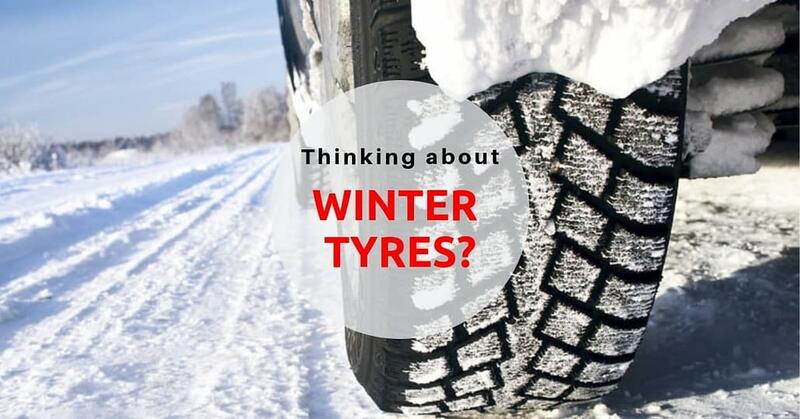 The third is our Winter Tyre or cold weather tyres. You can spot these easily as they have a snowflake symbol on the side. They are designed to give you the essential grip you need even when the really cold weather hits and temperatures drop below minus -7oC. Also, they have a different tread pattern with fine grooves or “sipes” cut into each tread block, so they really bite into the snow and ice for a better, safer drive. Should I choose all season or winter tyres in Wakefield? On the face of it, the all-season tyre should be the best-suited for us all in standard Yorkshire conditions. Because it is rated best for the range of temperatures we face here in the UK it should perform well throughout the changes both summer and winter bring. But what you have to bear in mind with this “Jack of all trades” tyre is that it is not a specialist at any season. So it’s not as good as the summer tyre when the temperature is hot, and it’s not as good as the winter tyre when our temperatures drop. If safety or your drive experience is important then changing your tyre with the season is always best. Yet, when it comes to the more cost-sensitive driver, the all-season tyres seems to be the favourite, as they will run you about all year round. If you are not sure what to choose, just contact your local garage. If they are anything like us, they will give you genuine and honest advice to help you decide. For instance, we at Cross Lane Garage always try to understand your needs as a driver so we can advise the best tyre for you. And whilst performance is great, cost is also important. So, having the best tyre for your budget is vital. Are winter tyres just good for snow and ice? The great news is that winter tyres are great for autumn as well as winter, so ‘Go’ cold tyres in Wakefield. Research suggests winter tyres are better than summer tyres any time the temperature drops below 7oC. This means a car fitted with winter tyres should stop quicker and be less likely to skid in any tricky weather conditions. Yes. Not only do winter tyres reduce stopping distances in snow and ice, but also in wet weather below 7­oC. What’s more, they help with cornering performance, enabling you to steer the car better in circumstances where you might otherwise be in danger. Do you want your vehicle safe and ready to tackle winter? Then come to us for a FREE tyre check! We will advise you on the best tyres for your vehicle at an affordable price. If you choose to change your tyres we can do it for you there and then. And, whilst you are here ask us about our FREE winter car checks. After all, it’s not just your tyres that need to be ready for winter. Or, drop in and see us if you are passing at Cross Lane, Wakefield WF2 8DB.